I’m a lover of all things Spanish as you will know if you’re a regular reader! So when I heard of a Spanish newcomer in London I couldn’t wait to give it a go. 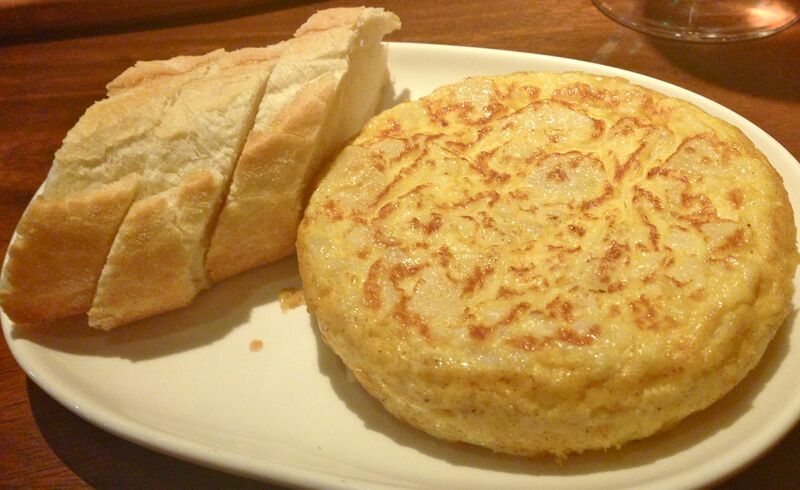 Bilbao Berria’s mission is to capture the flavours of Northern Spain. Its big brother, which opened in Barcelona in 1999, was created by two Basques and a Catalan (there’s also one in Bilbao). 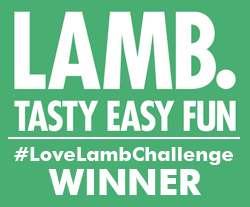 The London offering comes from them and is headed up by the winner of MasterChef The Professionals in 2011, Ash Mair, whose cooking is heavily influenced by Spanish flavours, though he’s Australian. The restaurant has a lovely, warming and welcoming feel. 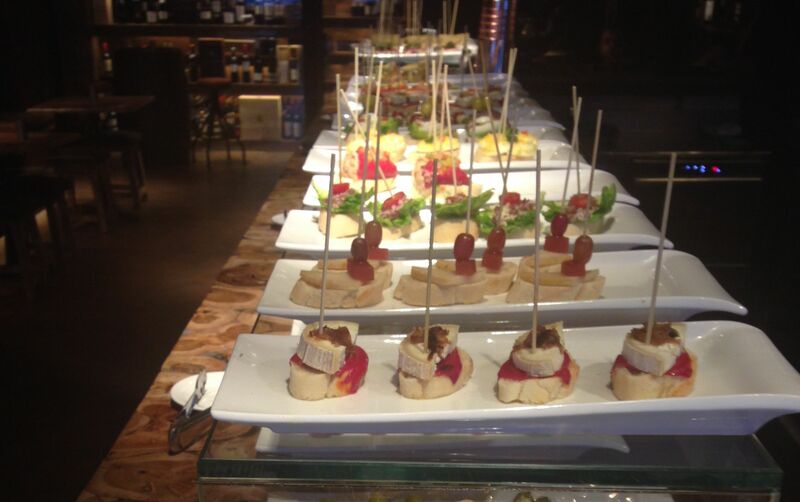 The bar beckons you in with rows of tempting pintxos on the countertop. These tasty little snacks are basically a combination of ingredients held together with a skewer that can be eaten in a mouthful or two, so no need for cutlery. The perfect place for an after-work glass of Cava and a snack. The restaurant downstairs is wonderfully contemporary and cosy with an open kitchen. 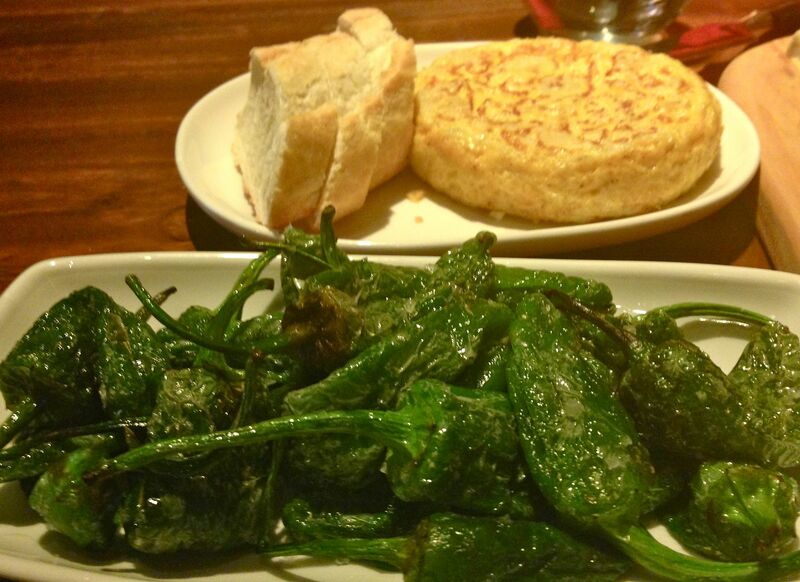 The menu offers up plenty of favourites for a tapas feast. 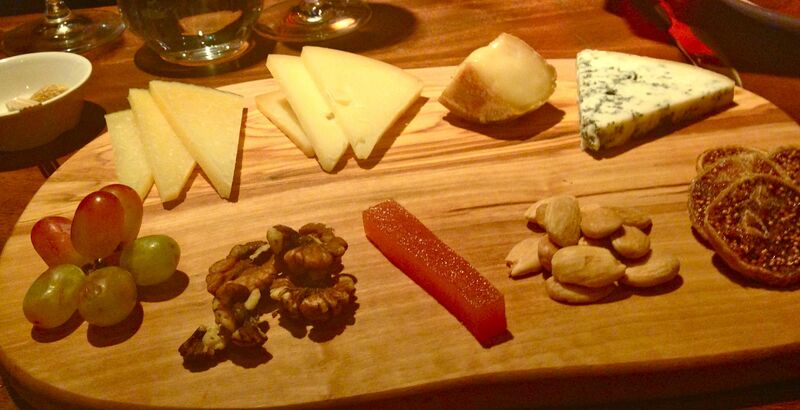 I’m loving Spanish cheese these days and this board offering a selection of delectable quesos with walnuts, grapes, dried figs and quince paste was the perfect start. 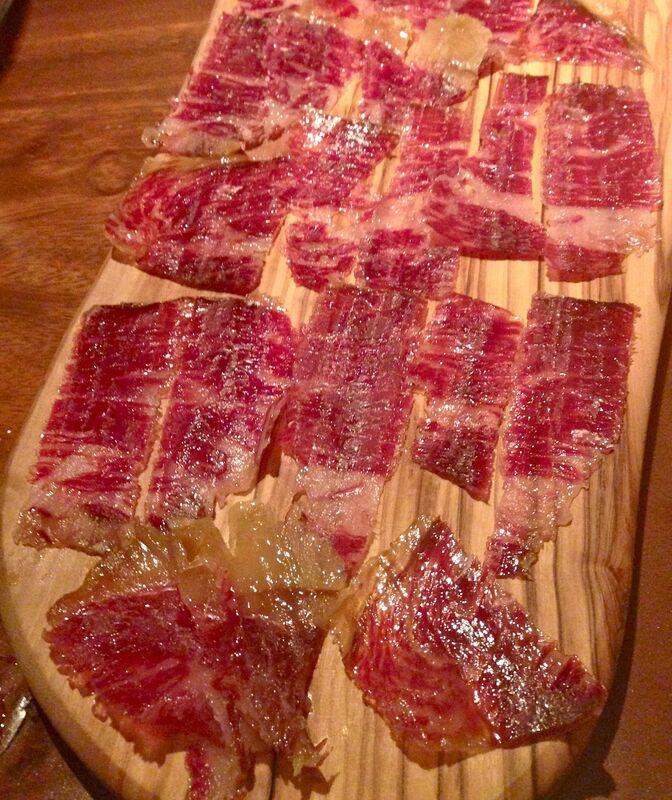 The Cecina de Leon reserve “Garrote”, wind-dried cured beef from Leon had that magical melt-in-the-mouth quality that Spanish meats so often and irresistibily does. I can taste it now in my head and would have taken a boxful home with no hesitation! The most perfect of tortillas, served warm with a beautifully runny centre. And with bread…bring on the carbs. And here we have some pimientos de padron, quickly sauteed and sprinkled with maldon salt. They’re tasty and juicy and the occasional one is properly hot, so beware! You’ll find lubina on most menus in Spain, it’s a beautifully sweet fish. 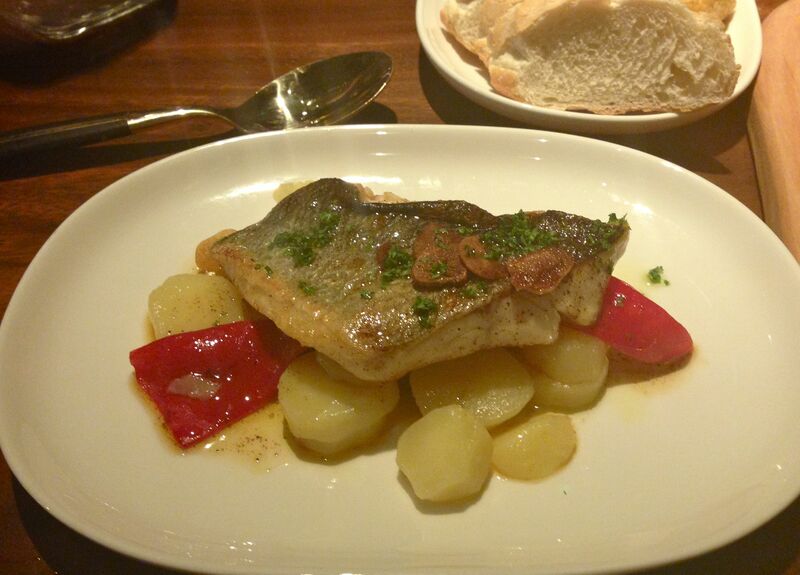 Here the wild sea bass is served with another Spanish classic, piquillo peppers and paprika vinaigrette. If you’re a fan of anchovies, I’d also highly recommend the boquerones – marinated Cantabrian anchovies with a pickled garlic dressing. My first experience with pickled garlic, a totally delicious one. Welcome to London Bilbao Berria, I’m happy to see the food of Spain spreading through our awesome city.